If you are entering a lot of information into an accounting program like QuickBooks, you want to be able to keep your hands on the keyboard. Moving back and forth from the keyboard to the mouse just slows you down. That is why we have “keyboard shortcuts” in good Windows based programs – to minimize the time you waste with the mouse. Information about the keyboard shortcuts in QuickBooks is available in many places, but I’m always surprised by how many people who just don’t know about them. So today I’ll review what we have available. Please note that this is a Windows-centric view of the QuickBooks world. From any point in QuickBooks you can quickly open a variety of windows and lists with just a keystroke. ctrl-Q Open a Quick Report for a list item when you have selected the item in the list. ctrl-L Open a list – if the cursor is in a field that has a dropdown list, such as selecting the item in an invoice detail line, this will open the list associated with that dropdown. You can memorize common transactions so that you can easily reproduce them later. Think of this as creating a template that you can make copies from. ctrl-H Transaction history – if you have a transaction like an invoice, which has payments applied to it, the transaction history can be very useful. ctrl-R Most transactions have a register associated with them. This opens the register for the transaction you are looking at. ctrl-F Opens the find window for the list or transaction type you are working with. These are the standard text editing keys we all know and love (at least, you should all know these by now) for most Windows programs. I’ll repeat them here for completeness. ctrl-Z Undo typing or changes made in field. When you open QuickBooks the program will usually try to open the last company you worked with, and open all of the windows that you had open when you last exited (this can be controlled by your desktop preferences). Sometimes, when you are having problems with a QuickBooks company file, you want to change how it starts. If you hold down one of these keys when you click on your QuickBooks shortcut, it changes how QuickBooks starts. ctrl Start QuickBooks without opening a file. This is useful if you are having problems with the last company file you were using – and you want to start with the Open or Restore Company window. Alt Start QuickBooks without all the windows. If you have your desktop set to remember what windows you have open, sometimes it takes a VERY long time to start QuickBooks. This option will start it without opening all the windows. When the cursor is on a date field you can do more than just type in a date or select the date by calendar – you can select some of the special date values with just a few keys. Very timely! I was just telling someone that M went to the first of the month, but that I didn’t know how to go to the end. Now I do. I have stumbled across your site by accident. 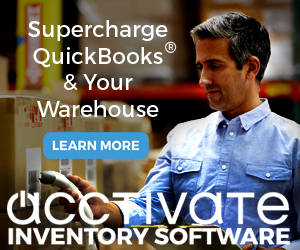 As a 12 year user of QuickBooks there are many instances where I still could use some tips. Your site is informative, to the point and well laid out. I will return often. Thanks!! was wondering if possible to create a shortcut to make a backup file. in quicken it is ctrl/b. Ken, not a shortcut that I know of, but you can add it to your icon bar. Right click on the icon bar, select “customize”, then click the “add” button, and “backup” is an icon you can add. I totally agree with Jann. Anyone know of a shortcut? There should be one by now, it’s 2016. Geesh! Do you know of a way to add QB keyboard shortcuts to options at the bottom of the “File” menu in QuickBooks? 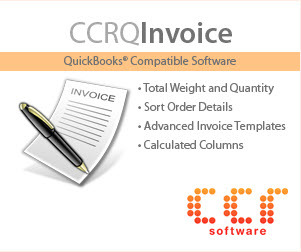 We have an integrated system with QuickBooks that right now, require time consuming mouse-clicks to execute. 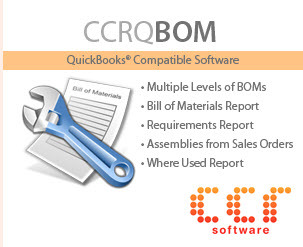 QuickBooks does not give system integrators the ability to set up their own externally created hot-key to a QuickBooks menu item. Is there a way or a tool with QuickBooks to set up a hotkey to execute item functions in the File Menu ? ?